Omnia door hinge finials will fit on any Omnia brand hinge. It can fit on any size hinge or either plain bearing or ball bearing. They simply screw on to the ends and the hinge pin does NOT need to be removed to attach them. 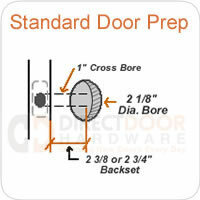 It is a simple modification to your door hinge that will add class to your room. - For commercial or residential use. - Fits any sized Omnia brand hinge. - Sold as a pair (One pair is needed per hinge). 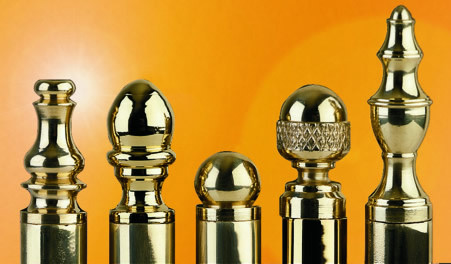 What is the diameter and hinge length (not including the decorative ends)of your urn finial?